If the price of OS X is $29 or $300 for Windows 7, then how come that WordPress themes cost $50 and more? Sure, the real profits for Apple come from selling the hardware or from partnership agreements with hardware vendors in case of Microsoft. They also sell much more copies of the software compared to that of WordPress theme shops, but then what are the development costs of each? It would be really interesting to know if there would be enough demand for $10 themes to cover the reduced markup. Just a note on the OS X price: It is not $29. 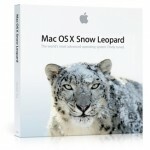 What Apple sells for 29 dollars is an upgrade from Leopard (10.5) to Snow Leopard (10.6). And the 29 dollars are only if you are upgrading from Leopard. If you are upgrading from Tiger (10.4), the cost is higher. An operating system may take thousands of man hours but spread across millions of computers that’s dirt cheap labour… vs the same cost of a developer for a single copy of a wordpress theme (or if resold a few dozen at most). $50 is cheap, $500 is good for custom.